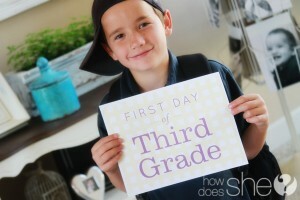 Five Things Friday: Back to School Ideas | Keeps Me Out Of Mischief! After a my long summer holiday my thoughts begin to turn to returning to school at the beginning of September. This year has been so different as I have changed jobs over the summer so have had a summer of fun with very little work to do – wonderful! I know this will change fairly rapidly once the term starts, but for now I’m enjoying it! Most schools in the UK go back next week so here’s some inspiration to help you mark the first day back with your children. 1. Party Love has this lovely idea to write a letter to your child for them to open when they leave school. 2. 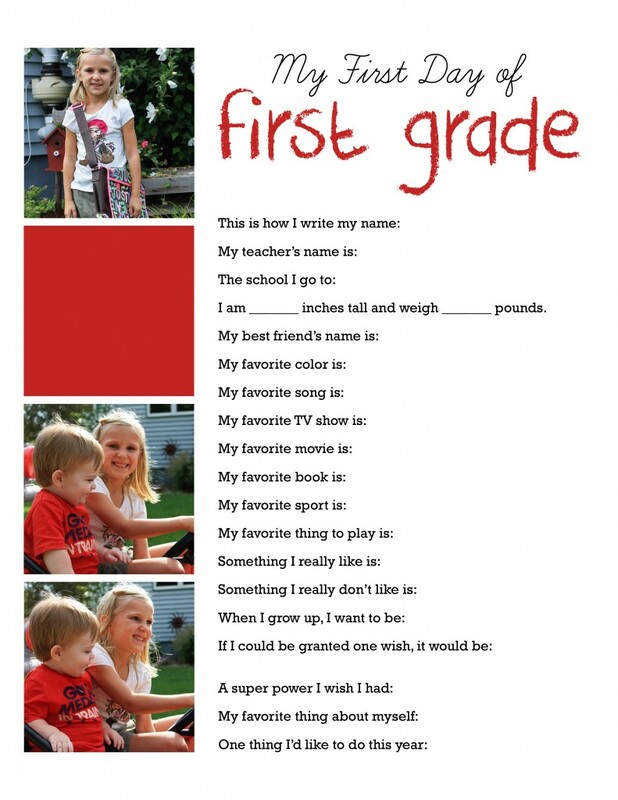 As a teacher I love to find out about the children in my class – I’d love to receive a set of these on the first day (as well as the parents keeping a copy for themselves!) – it’s available from who-arted. 3. Petapixel has this photo collage showing a boy throughout his 13 years in school. 4. How Does She has these cute printables which you could use as part of the collage idea above. 5. ichild has this printable to get you organised – I’d laminate it and keep it on the fridge door!